Gourmet enthusiasts should mark October 20th and 21st 2017 on their calendars for the Stars Route Festival at Vila Joya, na ARTEH® Hotel in Algarve. Since 2010, the Stars Route Festival takes place exclusively in all of Portugal’s Michelin-starred Restaurants on an annual basis. It tours the country from north to south, from March to November and it is currently one of the country’s most important culinary festivals, bringing the major players in Haute Cuisine together to interact and create more visibility on a national and international level. 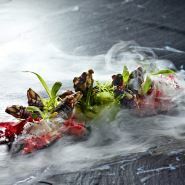 “The taste of tomorrow - from origin to original crEATivity“ is this year’s theme at Vila Joya and will welcome Austrian top chef Paul Ivic, one of the world’s few Michelin starred vegetarian chefs. On the 21st of October evening, during a “Ten Hands Dinner”, all of Portugal’s two-star chefs will demonstrate their own interpretation of “The taste of tomorrow - from origin to original crEATivity”. Book your place at this delicious festival until October 04 2017 and benefit from a 10% reduction on the packages with staying options. - Welcome cocktail, water, coffee and a midnight drink with the chefs. - 1 Night Stay in Standard Double Room. - 1 Dinner for 2 people. - 2 Nights Stay in Standard Double Room. - 2 Dinners for 2 people. - 3 Nights Stay in Standard Double Room. - 3 Dinners for 2 people. - Option A - 370,00 EUR per person. - Option B - Standard Double Room - from 520,00 EUR per person / night. 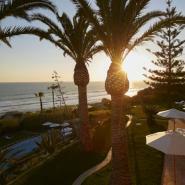 - Option C - Standard Double Room - from 520,00 EUR per person / night. - Option D - Standard Double Room - from 453,33 EUR per person / night.